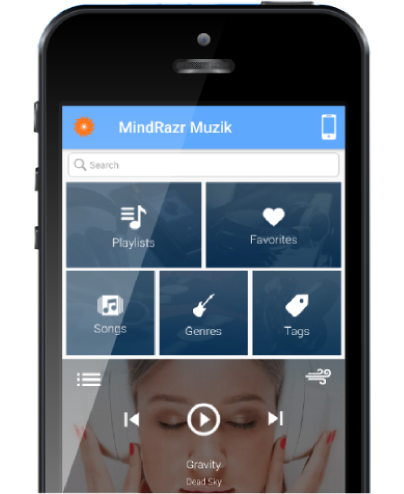 In just a few simple steps, MindRazr creates customised guided audio sessions combining individual music preferences with the wellbeing content you need to meet your needs in the moment. In just a few simple steps, MindRazr creates customised guide audio sessions combining individual music prefernces with the correct wellbeing content to meet your needs in the moment. Everyone has different tastes in music and if you really want to unlock the cognitive and emotional power of music then YOU need to be in control. Whether you relax to Mozart or Metallica? Workout to a banging bass line or Beethoven. YOU know best and that is why MindRazr is completely user driven. It is all about YOU. 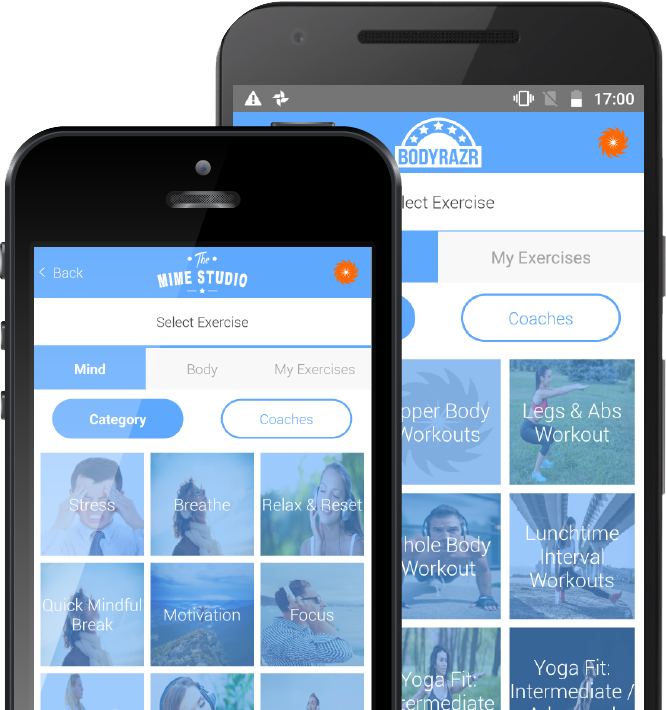 MindRazr has an extensive catalogue of easy to follow self-guided audio and video exercises, with content ranging from stress management to habit modification, high intensity cardio workouts to more subdued mindful movement exercises. Whatever your need, MindRazr has you covered. Select the music and wellbeing exercises to match your mood. Put your headphones in. No one needs to know. By integrating mindfulness content with your personal music preferences, you can enhance the listening experience and make your music more enjoyable. what type of exercises can i expect? Choose from an extensive and ever growing range of exercises for your physical wellbeing ranging from yoga to high intensity interval workouts to help you to build better lifestyle habits. Music contains our memories and emotions and is one of the most prevalent and enjoyable tools we use to regulate our emotions. Re-connect and re-engage with your favourite music and tap into the cognitive and emotional power that your favourite music holds. We'd love to hear from you if you have a question about the MindRazr and how the platform could help improve your health and wellbeing. Tell us a bit about yourself and how we can help and we'll get back to you promptly.